Home / SkinCare / Pilgrim 55 Natural Organic Skincare. 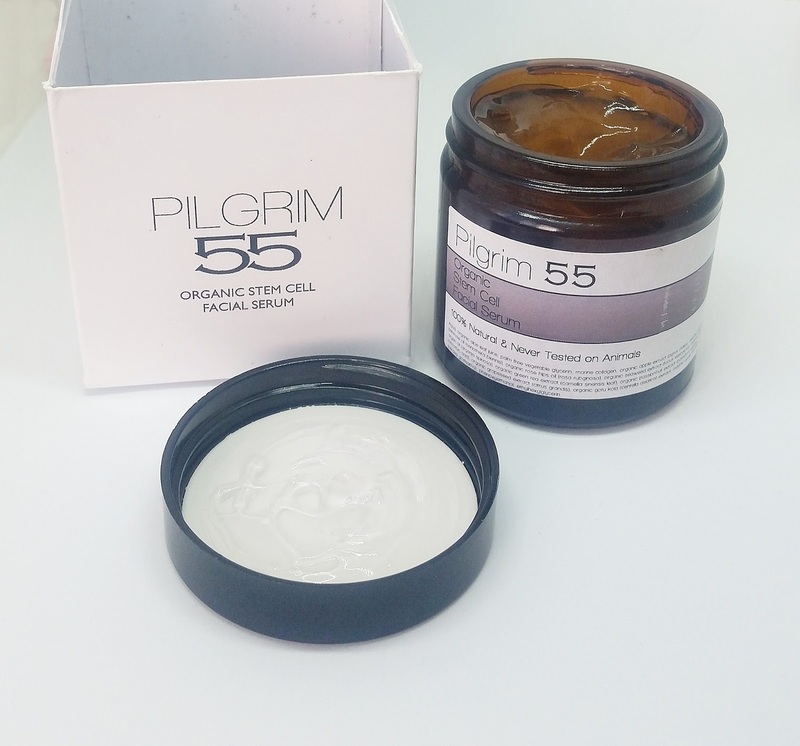 Pilgrim 55 Natural Organic Skincare. 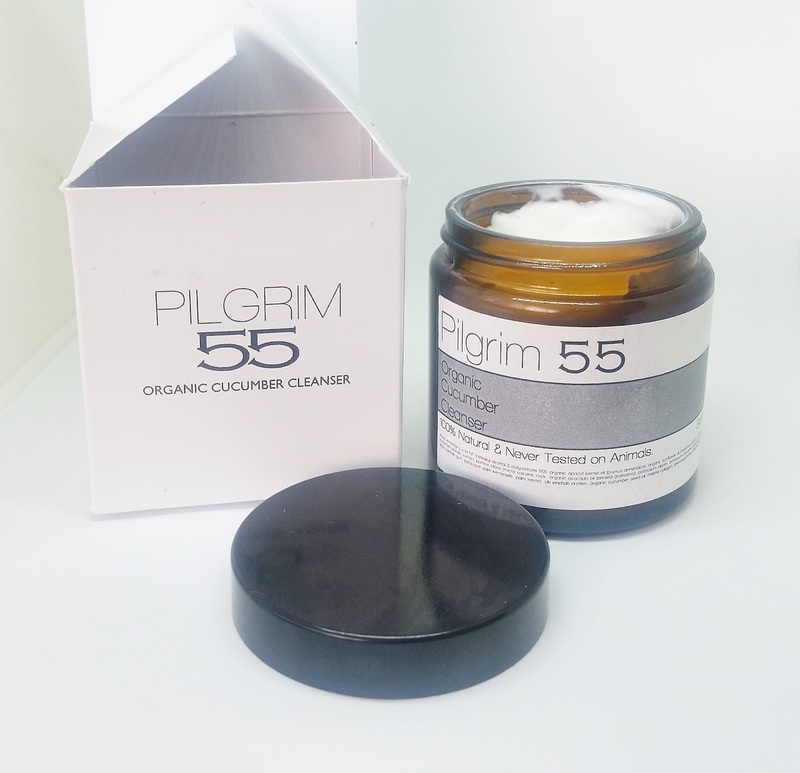 Pilgrim 55 is a brand dedicated to producing the best natural organic skincare possible in a sustainable, environmentally friendly and ethically positive way. Pilgrim's products are made with the best natural ingredients prioritising organic ingredients where ever possible, resulting in their products generally being between 70% and 90% organic (depending on suppliers). Ensuring what they put in to their products is the best quality, is of course important, but they feel that what they leave out of their products is just as important. This is why you will never see Parabens, Sulphates, Silicon-derived Emollients, Petroleum and Mineral Oils, Diethanolamine (DEA), Triethanolamine (TEA) or Ethyl and Isopropyl Alcohol, all these ingredients are important to look out for and avoid when buying natural organic skincare. 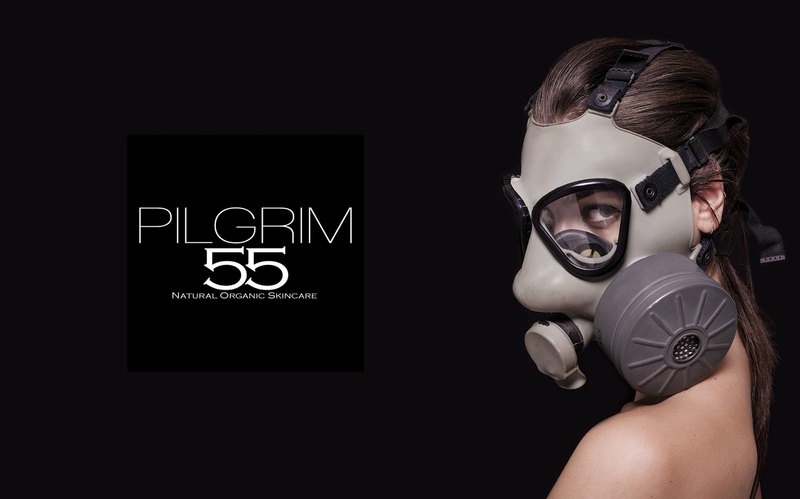 Pilgrim 55 as a brand and Tyne Cosmetics LTD as a company take its environmental obligations very seriously and has always been at the company’s heart since formation. They recycle and use recycled where ever possible. All of their paper, card and media stock is painstakingly sourced from sustainable forestry or from 100% recycled stock. Encouraging their customers to return their packaging to them, in order to be recycled. The brand is produced as efficiently as possible, using as little energy as they can whilst in production and the energy they use is renewable. As a company they aim to be carbon negative in the near future. This means that they will actually be removing carbon dioxide from the atmosphere. The companies dream is to show companies big and small that you can have a successful, profitable company but can actively contribute to reversing global warming. Pilgrim 55 Organic Cucumber Cleanser. This refreshing soothing natural cleansing lotion infused with cucumber extract is gentle and soothing providing hydration to the skin. Cucumbers contain a natural source of essential vitamins including vitamin K which has the ability of reducing dark circles and puffiness of the eyes. This extract has a high number of anti-oxidants reducing fine lines and wrinkles, whilst also retaining moisture through a natural source of pantothenic acid, also known as vitamin B5. Medium consistency. Ideal for Sensitive Skin. Directions for Use: Unscrewing the lid, you instantly fall in love with this cucumber cleanser. White in colour and thick in consistency the cucumber scent is light and refreshing. Applying a small amount of cleanser to fingertips and gently smooth into face and neck, i like to leave it on for at least a minute to get deep down into the pores. Removing with a damp cloth the cleanser leaves skin cleansed and refreshed, but extremely soft. A lovely cleanser to use in the morning to refresh skin and a great cleanser at night to remove the day's stresses, leaving skin a perfect base to add your other products onto from your skincare regime. Once open, Use within 12 month of opening. Pilgrim 55 Organic Stem Cell Facial Serum. This anti-ageing natural formula combines natural fruit extracts with an aloe vera gel base providing the perfect anti-ageing serum. Contains hibiscus flower powder. Hibiscus is known as the ‘Botox Plant’ increasing the elasticity of the skin through inhibiting the production of elastase leaving a youthful glow. The natural fruit extracts in this formula have super anti-ageing properties, rich in anti-oxidants, fighting off free radicals leading to the reduction of dark spots and fine wrinkles. This natural formula helps improve new cell growth and enhance the synthesis of collagen. Opaque Gel. Ideal For: dull/tired skin, mature skin, normal to combination Skin. Ingredients; Aqua, organic aloe leaf juice, palm free vegetable glycerin, marine collagen, organic apple extract (pyrus malus), organic melon extract (cucumis melo), organic evening primrose oil (oenothera biennis), organic rose hips oil (rosa rubginosa), organic seaweed extract (fucus vesiculosis), organic hibiscus (sabdariffa) flower extract, arnica oil, argan oil (argania spinosa), organic green tea extract (camellia sinensis leaf), organic passionfruit extract (passiflora edulcis), rice bran oil (oryza sativa), vitamin C (ascorbic acid), organic grapeseed extract (citrus grandis), organic gotu kola (centella asiatica) extract, organic apple fruit (pyrus malus) extract, organic avocado oil (persea gratissima), phenoxyethanol, ethylhexylglycerin. 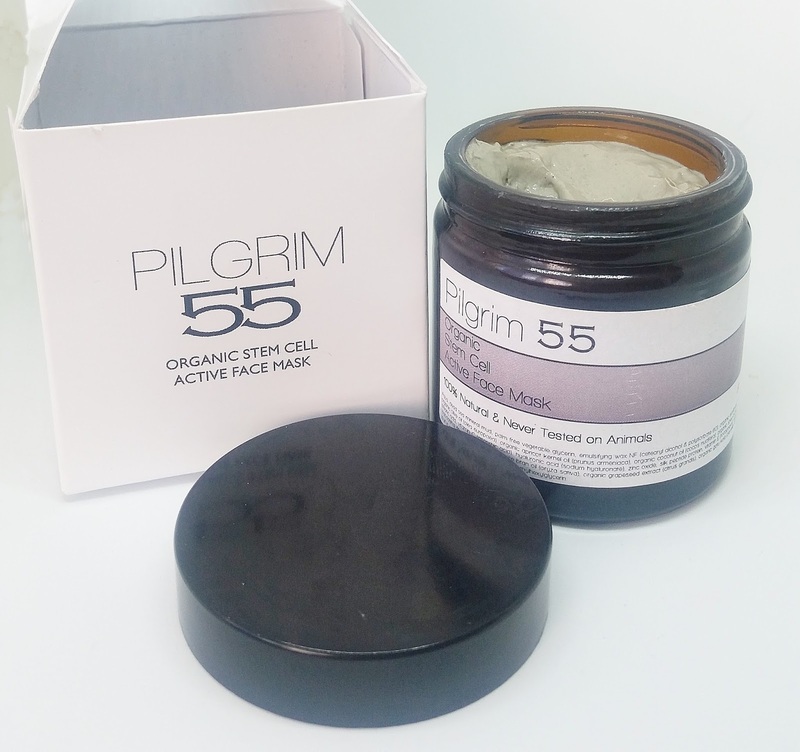 Pilgrim 55 Organic Stem Cell Active Face Mask. The natural infused face mask is ideal for regenerating and rejuvenating skin cells enriched with hibiscus flower powder. Hibiscus is known as the ‘botox plant' and has the ability to increase the elasticity of the skin reducing the appearance of fine lines and wrinkles. This face mask is intensely moisturising and does not dry the skin with added grapeseed extract to boost collagen production. Ideal For: All Skin Types. Directions for Use: Reach for this moisturising face mask when your skin needs a boost of hydration whilst also providing some much needed tender loving care. The mask, grey in colour but soon disappears when applying a generous even layer to a cleansed face and neck avoiding the delicate eye area. You can feel your skin tingle softly when leaving for 5-10 minutes before proceeding to wipe away gently using a clean damp cloth. Rinse face and pat dry to reveal skin that has been deeply cleansed but left supple, firm and hydrated. Use within 12 month of opening. 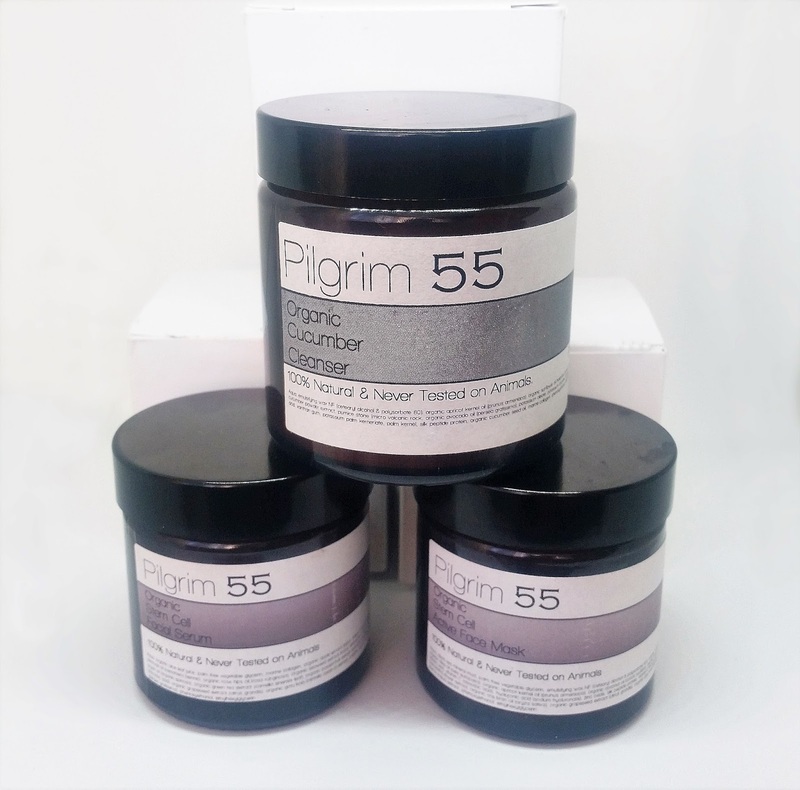 Pilgrim 55 natural organic skincare range offers a complete range for the beginners or if your wanting to overhaul your existing skincare regime. A cleanser. serum, moisturisers, eye gel, face masks and hand & nail cream, all situated in classic but sophisticated packaging will look good wherever your keep your products. Not only do the products efficiently work to achieve their task their labelled to do, but mostly importantly you can be rest assured that what your putting onto your skin is natural organic skincare at its best. Find out more by visiting Pilgrim 55 today. X Neil.